Someone from Eastbourne & 5 others recently bought this item. 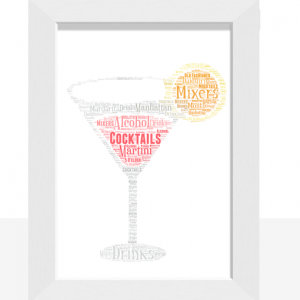 Create your own personalised wine glass word art print. This wine glass shaped word art print can be fully customised by you to make a unique personalised gift for any wine lover. 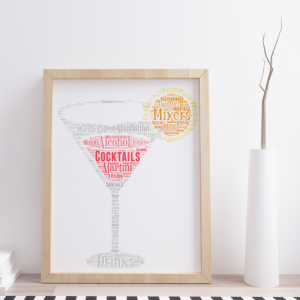 Every word art print will be personalised just for you. Each print will include words of your own choice. You can choose any words you want. This makes a lovely personalised gift for a friend or a loved one. Add the words you want added to your print. Example: Best friends, laugh, forever, good times, life, mates, bling, pals, caring, love.